We remodeled this french style apartment with 14'ceilings to look as we believe it did in the 1880's. It is beautifully furnished with period furniture, and crystal chandeliers. 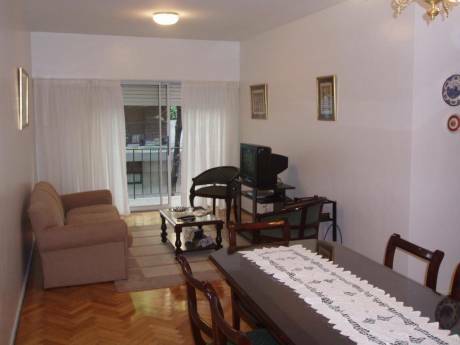 The apartment has a huge living room, 2 balconies facing the park, with beautiful light. The three bedrooms and 2 full bathrooms open into an airy glassed hallway overlooking the sunny quiet inner courtyard: the master bedroom with a queen sized bed and its own full bathroom, the second bedroom with two single beds, and the third bedroom with a double bed (that can be changed to 2 twin beds). There is a second full bathroom with lovely tiled shower down the hall. The apartment has a full eat-in kitchen with appliances: dishwasher, washer-dryer, microwave, excellent gas stove/oven, self defrosting Refrigerator/Freezer. There is High Speed Wifi Internet Access, Air conditioning, TV cable, DVD, Wooden floors, Toaster, Coffee maker, Iron, Dishes and Kitchenware, Linens and Towels. 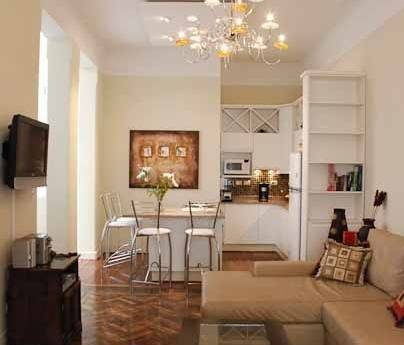 If an exchange cannot be worked out, the apartment is available as a rental. Rates available on request. I am an artist and my husband is a writer and lawyer. We have a wonderful 10 year daughter. This is my first exchange. 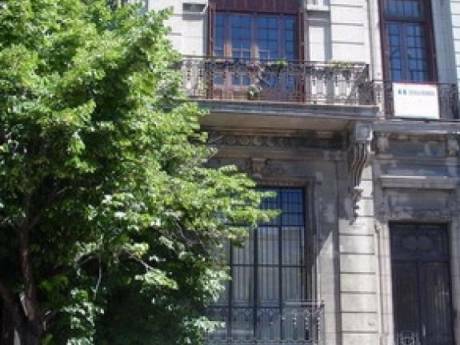 Ideally located on the historic Plaza Dorrego in heart of San Telmo, a famous meeting point for antique dealers, Tango Bars, restaurants and "milongas." On Sunday is the famous flea market, with street performers on every corner. Everything you need is within walking distance. In the evening, you can watch the Tango dancers from one of our 2 balconies. We are 2 blocks from the oldest market in the city, the very charming Mercado San Telmo, where you can find wonderful fruits,vegetables, artisanal cheeses, poultry, fish, farm fresh eggs,and flowers. Down the street is also the first cafe bar where you can sit, read the paper and chat with the neighbors. We love this neighborhood.